The Hear the World Foundation supports disadvantaged people and particularly children with hearing loss around the world and gets involved in prevention. The Hear the World Foundation supports people and particularly children in need with hearing loss around the world. So far 90 projects all around the world have been supported. More than 100 famous ambassadors, such as Bryan Adams, Plácido Domingo, Annie Lennox, Sting and Joss Stone, support Sonova's foundation. Marc Sway, a Swiss musician became a Hear the World ambassador in 2017. In May, he visited one of the foundation's projects in São Paulo to give hope to children with hearing loss. In June, his songs filled the hearts of the guests at the Hear the World Charity Gala helping to collect funds for the foundation. And he also raises awareness of the importance of good hearing among his fans at his concerts. In the interview with Hear the World, he shared more about his motivation. The Hear the World Foundation is a prevention partner of the Swiss concert promoter abc Production. The foundation provides concert-goers with free ear plugs to prevent hearing loss. More than 100 celebrity ambassadors support the Hear the World Foundation. They have all been captured by Bryan Adams with their hands cupped behind their ears. Ora Buerkli, a Member of the Board of the Hear the World Foundation since its establishment, lately was visiting the project #HearMalawi. On our "Sounds Good Blog" she shares her experience and shows her passion. 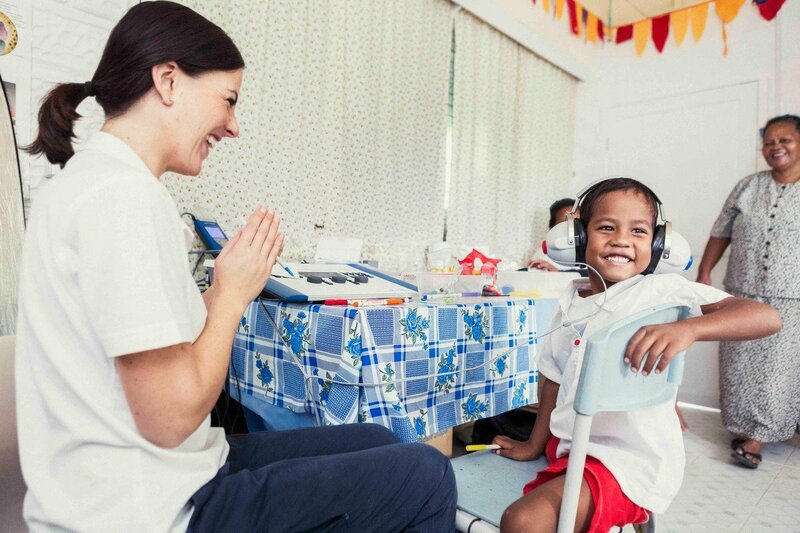 The Hear the World Foundation so far conducted more than 250’000 hearing screenings worldwide.